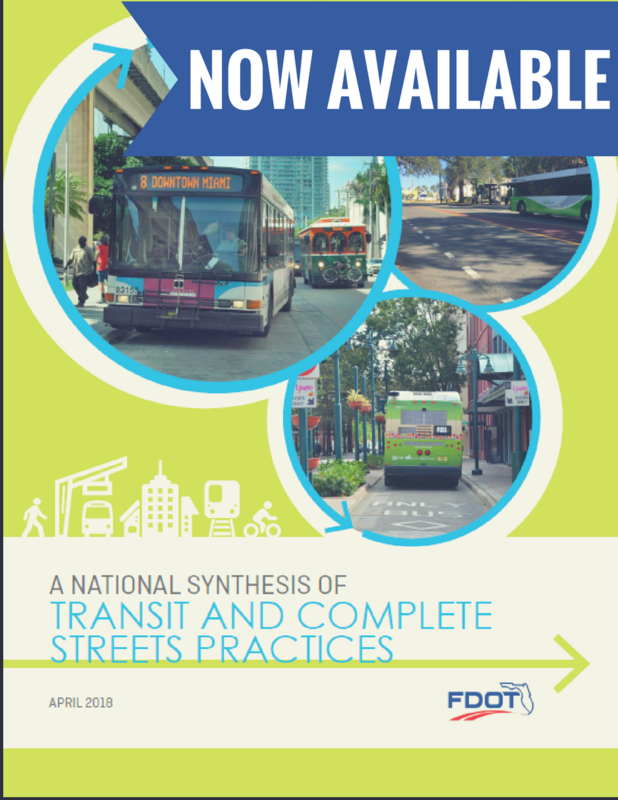 The FDOT Transit Office is pleased to announce the publication of A National Synthesis of Transit and Complete Streets Practices guidebook. This guidebook explores how public transit can be incorporated into complete street planning and design by examining successful projects nationwide. 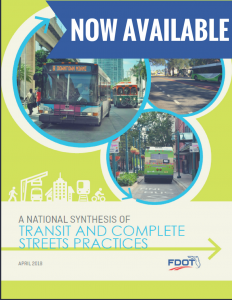 Through research and analysis this document helps to define what is meant by transit and Complete Street integration, what are the practices that can help do so, which ones are particularly applicable in Florida, and what are the lessons learned. Visit http://www.fdot.gov/transit/ for more information on the Public Transit Office and other recent projects completed by the office. Visit www.FLcompletestreets.com for all FDOT presentations, webinars, and workshop materials, plus more informational resources related to FDOT’s Complete Streets initiative.